When you move into a new home, it is tempting to invest in projects that you’ve always wanted to indulge in, like a home sauna. Before you turn that extra bedroom into your own personal sweat lodge though you may want to think about how long you plan to be in your home, and what additions might actually excite future buyers. 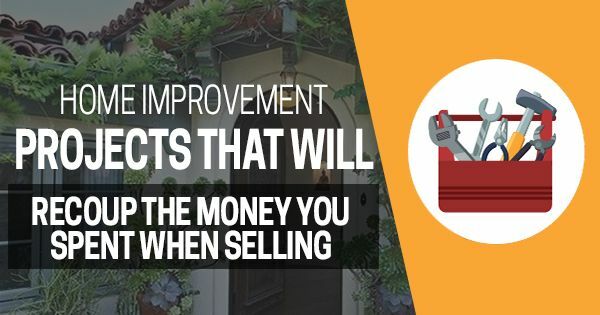 You definitely want to enjoy your home to the fullest while you are living there, but if you’re mindful of future buyers, you can probably get a great return on your investment while you’re at it. A new roof isn’t the most exciting addition to your home, but it’s a major expense that will keep your home comfortable, while assuring future buyers that you have maintained the home well. The 2015 edition of the Cost vs. Value Report reports that you can expect to recoup 71.6% of the cost of your investment in a new roof. In addition to a quality roof, upgrading windows (72.9% ROI), siding (80.7% ROI), and exterior steel doors (101.8% ROI) also provide substantial ROI’s while making your home look great and feel safe. Your home is your respite from a stressful world. You invite family and cherished friends to make memories with you there. “Curb appeal” may seem like a very small part of what makes your home, a home, but it actually has a big impact on how you and others perceive your space. Seemingly small upgrades like painting the front door, upgrading your address signage, installing quality lighting for safety, and landscaping that makes the most of each season will make you (and others) want to be there! It is a commonly held belief that the home improvement projects that have the best ROI are kitchen and bathroom renovations. According to the most recent Cost vs. Value Report though, major, upscale kitchen remodels typically net a 59% ROI. The most expensive items to upgrade in the kitchen, but also the most sought after by buyers, are new appliances.Think stainless steel, energy efficient, and gas ranges. If you’re not ready to invest in those improvements yet, there are some very affordable projects that you can do to make your kitchen look fantastic. First, make sure there is a fresh coat of paint on the walls in a neutral color. You may prefer bold colors, but sometimes buyers just can’t get past a color that disagrees with them to see the potential in a home. Flooring is another area where you may want to invest. If you have linoleum, get rid of it! Install hardwood floors or ceramic tile. Also think about replacing your countertops and cabinets. 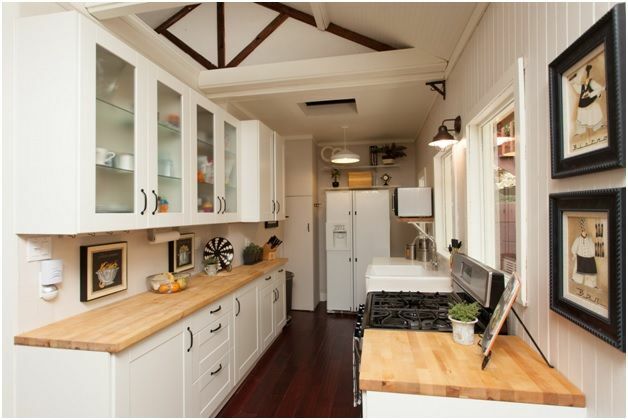 For a simple cabinet upgrade, paint the cabinets and install new, matching hardware. Just like with the kitchen, I recommend starting with a fresh, neutral color of paint on the walls. This will make the space look larger. While the bathtub may be the most exciting feature to upgrade, it is expensive, and preference in tubs varies wildly. Also, keep in mind that the average ROI on a major bathroom renovation is 59.8%. So if a jacuzzi tub is something that would make you very happy though, you may just want to treat yourself, but keep in mind that you may not recoup that expense when you sell. If your sink and toilet are in good shape, invest in a great vanity and bathroom tile that is modern and would work with almost any design palette. Also frame that standard, contractor installed mirror. It’s very easy to do (here is a tutorial) and makes the room look much more polished. Before you invest a lot of money in a kitchen or bathroom upgrade, find out how much homes in your neighborhood are selling for. If your neighborhood and home are not very desirable, a pricey renovation may not make sense for you when it comes to resale value. Installing solar panels to your home can drastically cut your energy bill and help reduce your environmental footprint. Even better, the National Renewable Energy Laboratory has reported that for each $1 you save in energy cost, you also add $20 to your home value. A recent report by the The New York Times backs up that claim, providing hard evidence that buyers are willing to invest more money in a home that has solar panels. Investments in smart, eco-friendly technology can be expensive, but you will experience the savings benefit while you live in the home, and undoubtedly attract buyers who are eagerly looking for a home that allows them to live a more sustainable life. Energy Star has a great tool to help you calculate the value of investing in your home’s energy efficiency.